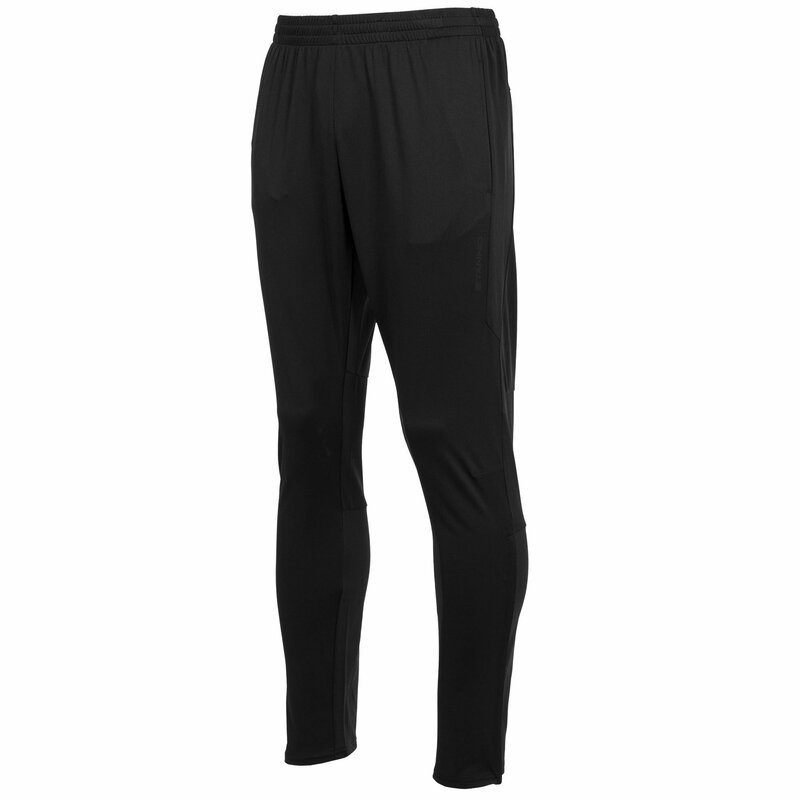 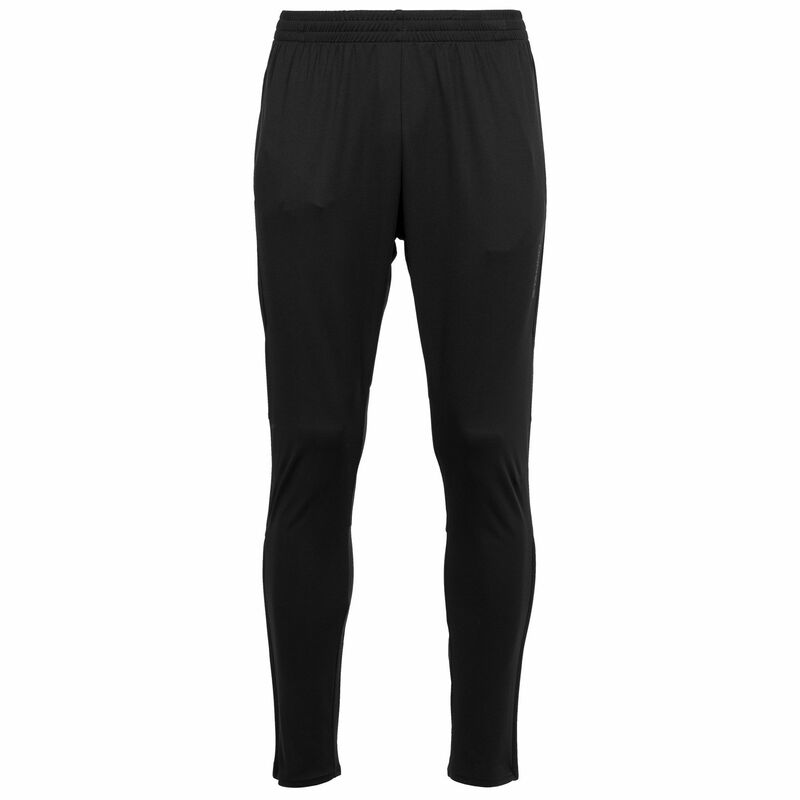 These comfortable training pants from the Stanno Functionals collection are made of 100% polyester with ClimaTec finish for optimal sweat transport. 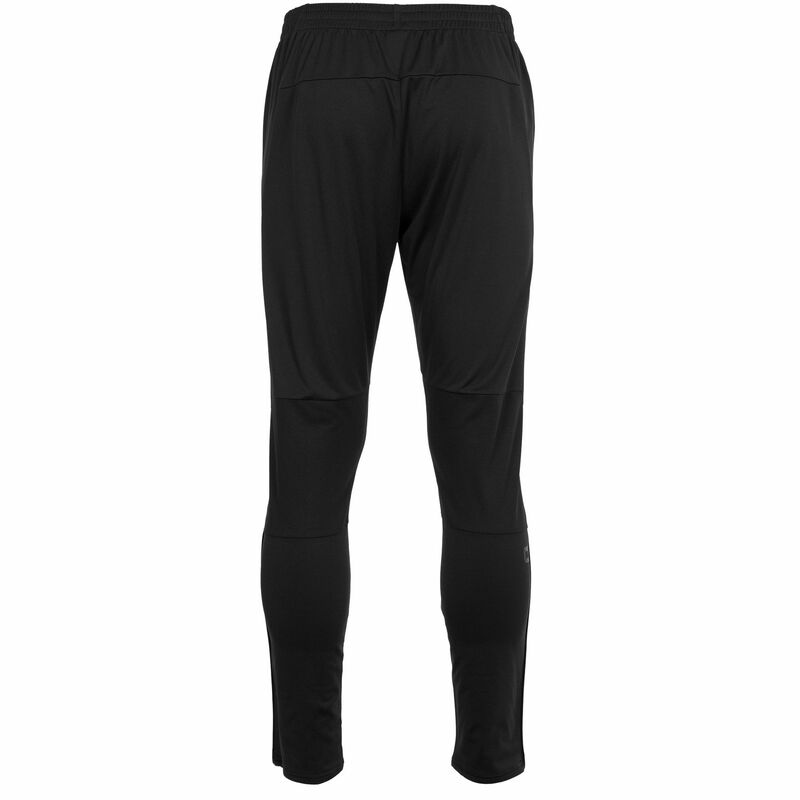 The pants are slim fit and contain elastic panels on the side and on the calf. 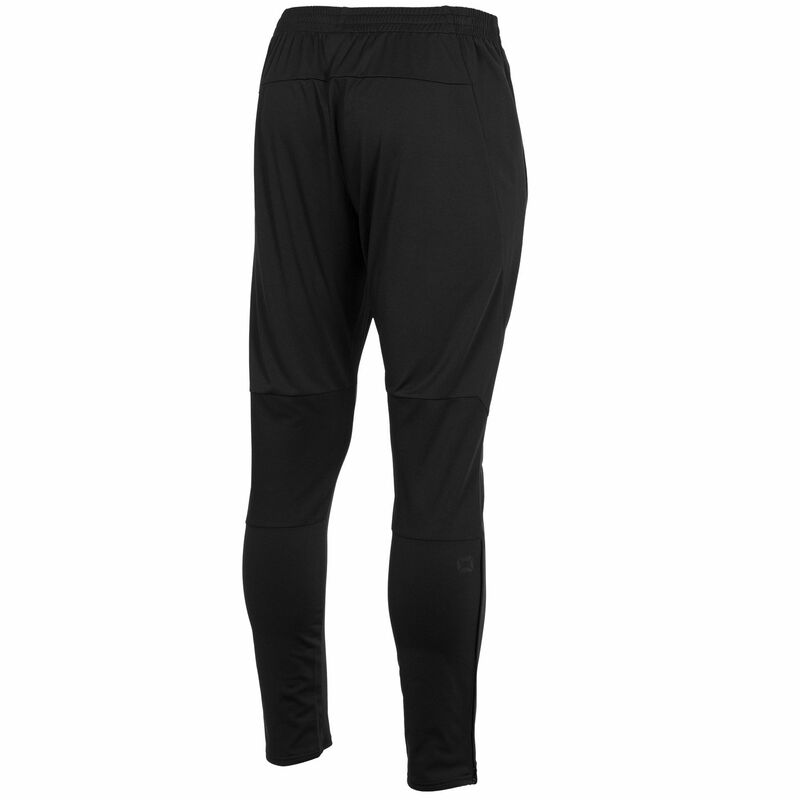 In the knee cavity there are panels made of ventilating mesh. 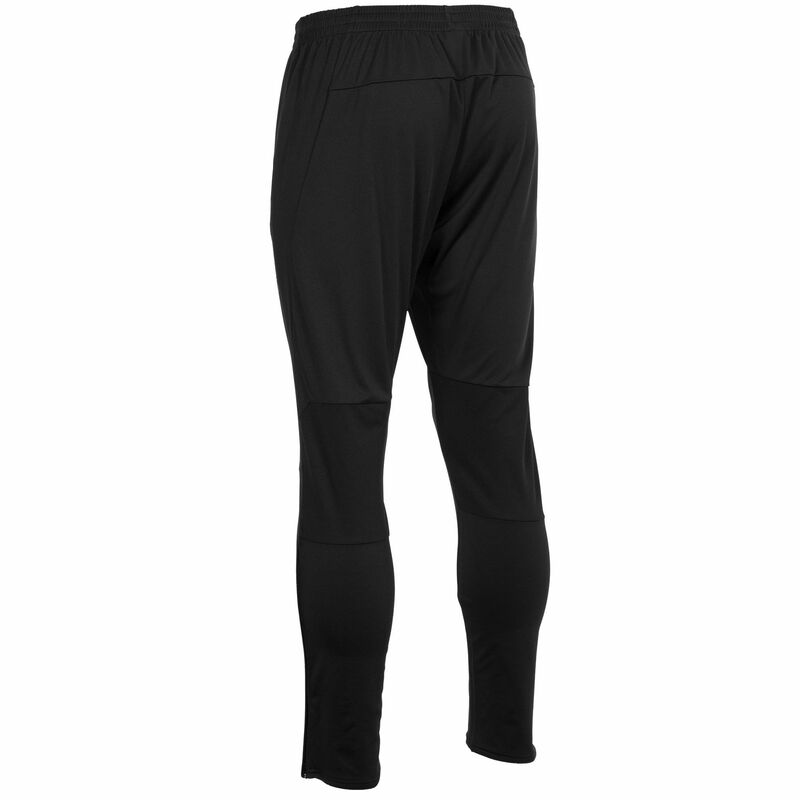 The pants have a waistband with cord, two pockets without zip and a long zip at the bottom of the legs. 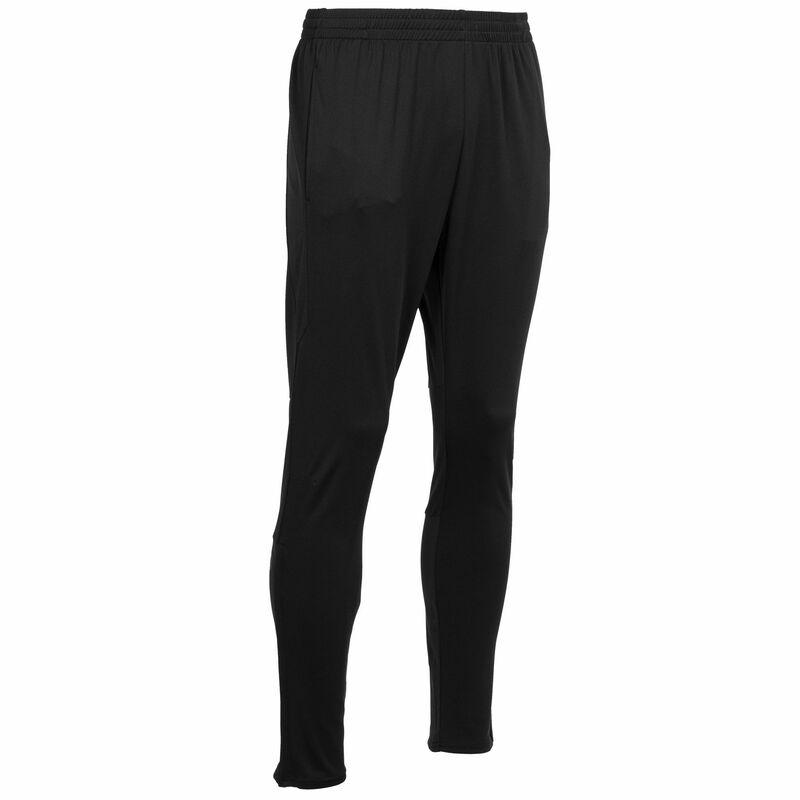 With subtle tone-on-tone Stanno prints.